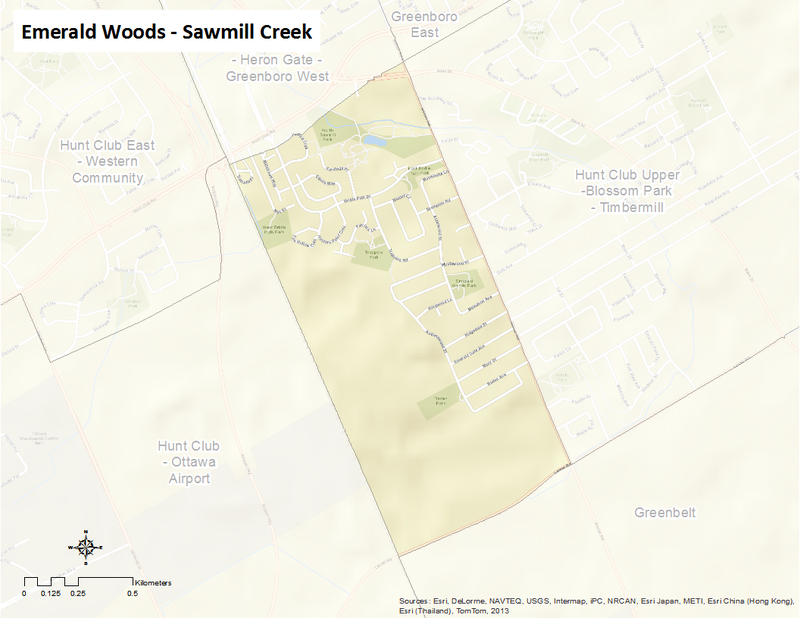 Emerald Woods-Sawmill Creek is bounded just south of Hunt Club Road to the north, Lester Road to the south, Albion road to the east and just west of Millstream Way and Mac Street. The neighbourhood includes the communities of Sawmill Creek and Emerald Woods. Here is an infographic that describes the neighbourhood as a Village of 100 (2011 data).